The album cover alone is an outstanding peace of work on Petra Glynt’s latest effort. The album, This Trip, is a political and percussion driven piece and Petra’s visual arts background shines through in the production and the unique sounds in between the melodies. I contacted her and she told me a bit about how she mixes the visual arts with the music, how she started to feel empowerment in using her voice, her love for MIA and her wish to visit Iceland and play her music there (let’s make it happen people!). First off, who is Petra Glynt and why are your album covers so incredibly colorful? I am a multidisciplinary artist based in Montreal atm, I work within a number of mediums. Visually, drawing and painting are the main ones. I take a lot of pleasure in making special artwork for the music. How did you get into making music or art in general? I’d always made music and art as a kid, but never knew that I could chose it as a career or go to school for it. I studied classical voice as a kid and teenager and thought I might go to school for that, but the art world was never presented to me as something I could take on professionally. When I moved away from home to go to university I realized that making art and music was actually all I cared about and became fully immersed and it’s been that way since. Can you describe the scene around you? Do you feel there is enough artists using their voice or talents to convey a message of change? I’m kind of a hermit in Montreal. I moved here from Toronto, where I was the opposite of a hermit. I got worn out there and came here to heal and create new work and take my practice more seriously. I would say I’m not as involved in the “scene” per se as I’d like to be at the moment but I think there are A LOT more artists using their voices now then there used to be say five years ago when anything political was deemed too confrontational. I think artists then feared raising their voices, especially non-binary, queer, women, poc artists because the practice of being an artist was more economically and socially fragile, especially as a minority. To risk speaking out meant to risk getting the opportunities to use your voice at all. Since all the movements after the Occupy Movement there’s been lots of major intellectual shifts, and I’d say music communities have become the forefront of social consciousness, though certainly not all of them seeing as the industry itself remains male dominant, but speaking to the “underground” alone. Because of that I find it the most radical and exciting to be part of. I used to be nervous about taking a stance and being political in a sea of indie rock dudes, now I feel empowered because I’m part of a whole slew of diverse artists who are claiming space for themselves who wanna see a more inclusive, vibrant community. Is it difficult to balance the visual art and the music or does it blend together seamlessly? I can’t seem to have one without the other so I make it work. I used to feel like I had to chose, but now I know they belong to the same world and can work together and support each other. How important is it for you to include political or socially conscious messages in your music? It’s something I can’t seem to get away from really, haha. I use music as a way to process my reactions to the world around me and I’m not able to write music about personal problems like love, heartbreak, friendships, cute things, etc. It’s very rare when I do. The reason for that is that I fundamentally feel that it’s important for me to be part of a contemporary dialogue and avoid contributing to a world of consumption. There is enough debris out there to be consumed, mulled over, liked, swiped, and discarded. Can you share some of your favorite political bands or musicians, current or not? Do you partake in any extra curricular activism outside the music? Currently, no. I have a bit in the past. But I’ve taken time to heal and feel strong since. I’m at a point now where I’m ready to give my energies to something and am beginning to open up to what that is now. I got a new record coming out this year that I wrote while I was figuring out how to release the last. My sophomore record as they say. I will share more once the album is announced next month. Thank you so much for participating and for the art you make. 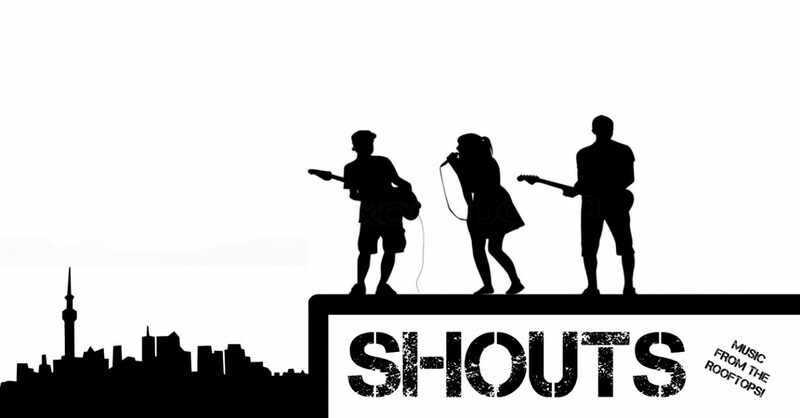 Anything else you’d like to shout from the rooftops? Cover image by Joe Fuda.